Happy Belated New Year to all of my readers! I spent a remarkable five days in London over New Year’s and I found myself falling in love with England all over again. Five days scarcely allows you to scratch the surface of the city and get to know its varied districts, streets, and flavours. It is like New York in that you can get on the tube and when you emerge once again from underground you seem to have been magically transported to a completely new and different place. You don’t know what you will get when you begin to climb the stairs, but I can almost guarantee it will be amazing. London is the only true city I have come across in the UK. I use the phrase “true city” to mean a city that I am used to in the US. For me a city is like New York or Philadelphia. It is bustling with a network of public transportation, cars, large crowds, landmarks, museums, cultural centres, clubs, pubs, and more restaurants than can be imagined. Cities are alive at all hours and each has a unique personality and energy associated with it. London has a fascinating energy. It is a controlled intensity; the energy is always bubbling just beneath a veil of subtlety. It is very English in that respect and it makes the experience all the more exciting. Rather than go on and on for pages about my adventures in London, I thought I’d give you the highlight reel. This I consider to be the second edition of Jen’s Top Ten Places to Visit While in the UK. It’ll include some anecdotes, some advice, and the big places I visited during my five days. Be assured though, London, I am far from through with you. I landed at Heathrow at 6:30am. Check in at my hotel was 2:00pm and I needed to catch my breath and recharge. I had a leisurely breakfast at Costa and then boarded the tube for my hotel. It was a straight shot on the Piccadilly Line to Earl’s Court and the Oliver Plaza Hotel where I was staying. I had conjured up images of a large soaking tub in my head and an open, airy room. For now though, I would just drop my luggage off and head to Baker Street. I had decided to try to use every moment available to me while I was in London. The hotel wasn’t exactly what I expected when I entered the lobby. Like so many other hotels in Earl’s Court it was clearly a converted house, sort of like the kind of on the old version of Upstairs, Downstairs. Rooms had been divided, modernised, and adapted to hotel use. I say modern, but it was modern but it appeared to be twenty-five or so years out of date. I dropped off my luggage and decided to return as soon as I could check in so I could have that long soak I was hoping for. 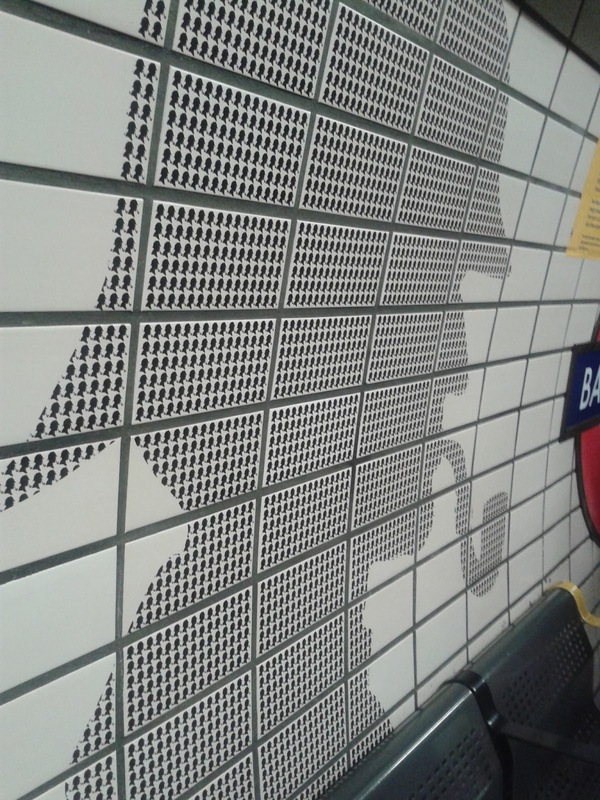 Back on the tube, I made my way to Baker Street. When I came out of the station, I found a double-laned street with a strip in the middle, Marylebone Road. There were crowds of people and it was gently drizzling. 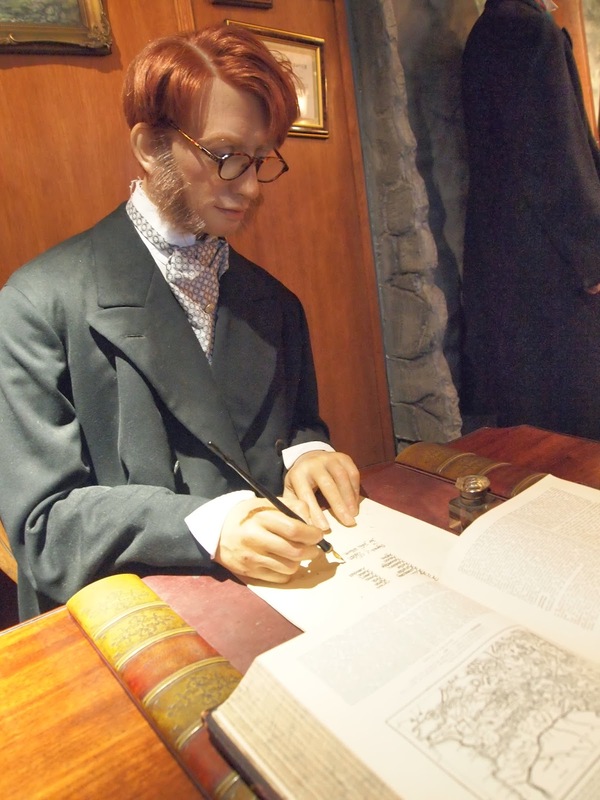 I began walking and came across Madame Toussaud’s with a queue so long it stretched around the building and had begun to double back on itself. Glad I’m not going there, I thought. I passed the Royal Academy of Music and realised I was heading in the wrong direction. 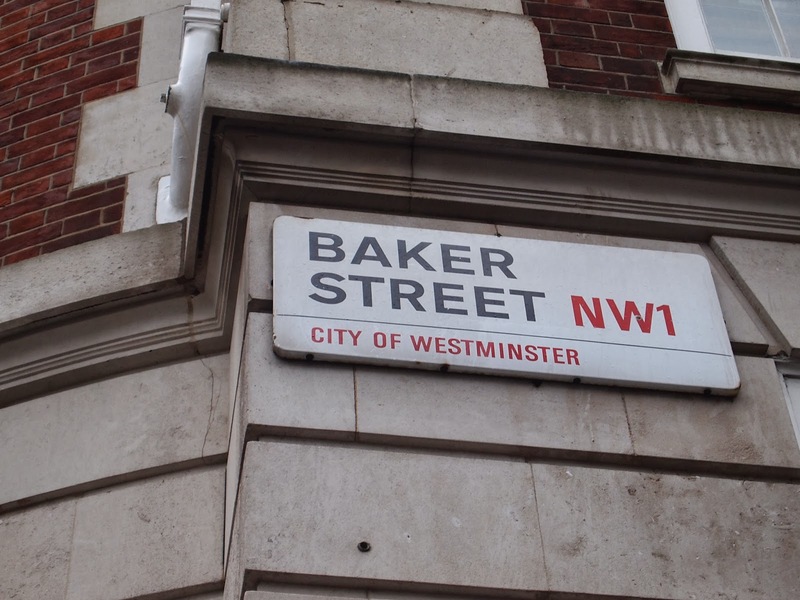 I crossed the street and walked back until I ran into Baker Street. 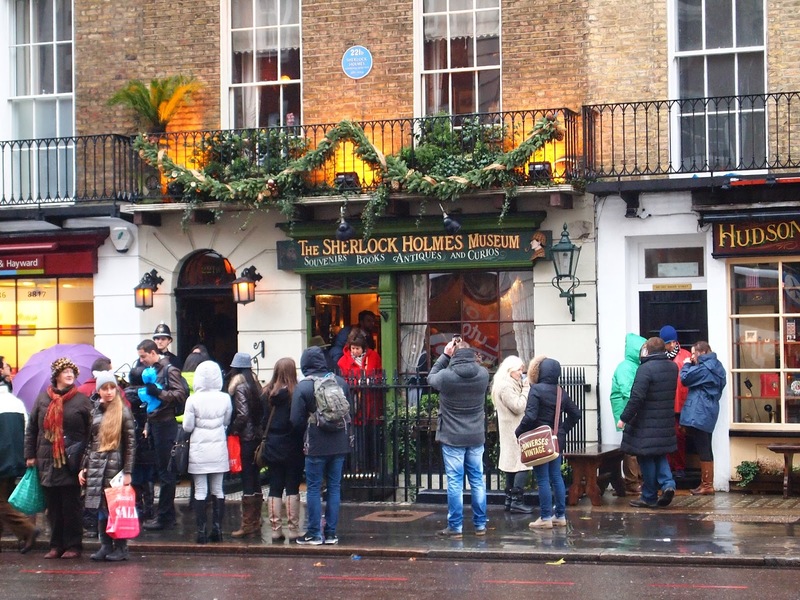 As I walked on, I finally reached 221B, it was the queue outside that gave it away. (What they say about the Brits and queuing is all true). It appeared the Great Detective was in great demand at the moment. The drizzle continued and I needed to eat. I decided to grab lunch at Pret a Manger and if it had stopped drizzling and if it appeared that the line was moving, I would try to get into the Sherlock Holmes Museum afterwards. While enjoying my sandwich and salt and vinegar crisps I glanced over to see none other than the Great Detective snacking away a few seats down from me. Okay, it wasn’t actually Sherlock Holmes. It wasn’t even Benedict Cumberbatch. 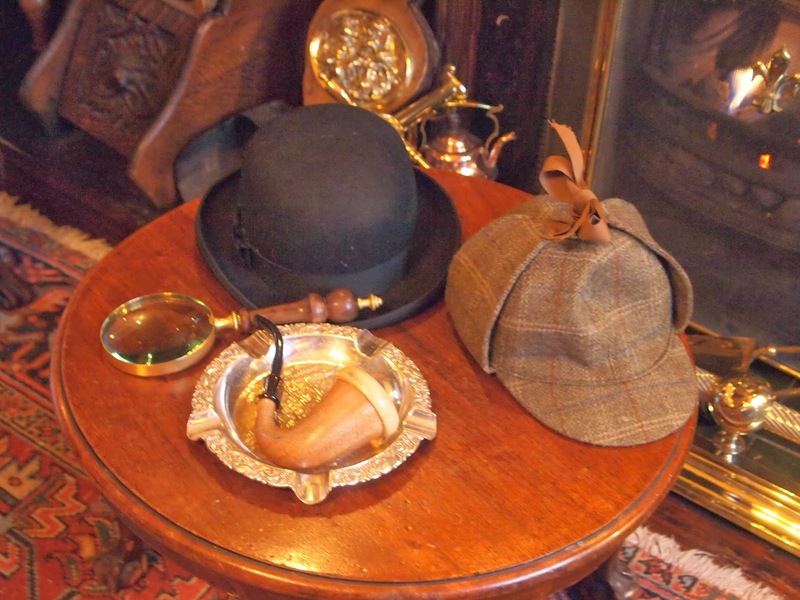 It was just a guy dressed in a grey Victorian overcoat with a matching deerstalker on the table. I guess those are the sites you see when you’re on Baker Street. After lunch I plucked up the courage and the energy and waited in the queue. I waited for an hour and a half. Now, as you’re waiting, you may find some odd things to do. I discovered Baker Street is an excellent place for car twitching. (It’s like bird watching only with awesome cars). There was an Audi R8, one or two Ferraris, one Lamborghini, myriads of minis, a Bentley, and a few Jags thrown in for good measure. When I finally reached the front of the queue I made an awful discovery. Apparently (and take heed ye folks who plan to visit) you need to purchase tickets before getting in the queue. After explaining my dilemma to the costumed interpreter (dressed as a bobby) at the door to 221B, I was told to run in the shop and grab a ticket and he would let me in with the next bunch. I got to chatting with him and he mentioned that most of the employees there were actors, writers, and performers. He himself was an actor who had graduated a few years ago. Finally, I entered the home of one of my childhood heroes. It’s an odd sort of museum. 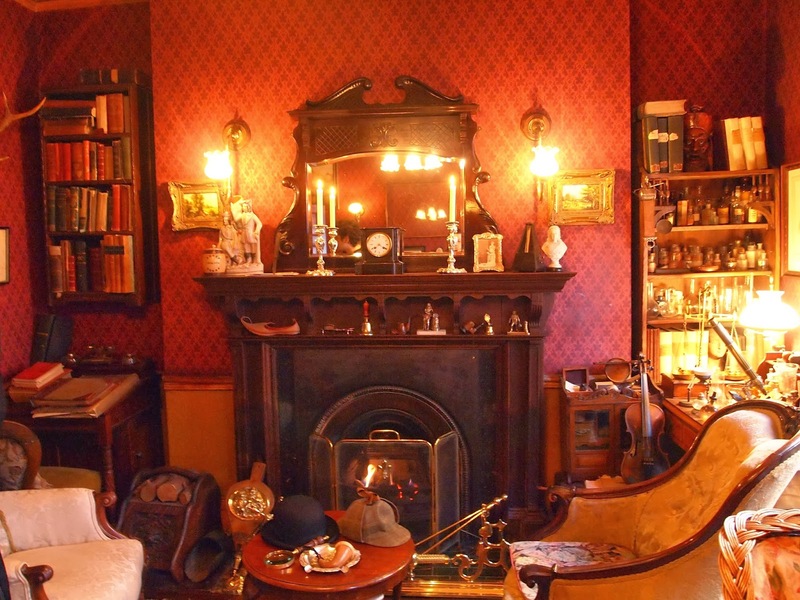 It is arranged like Holmes’s rooms would be from the stories. You can touch the objects and sit on the chairs. There are few labels and few genuine artefacts. 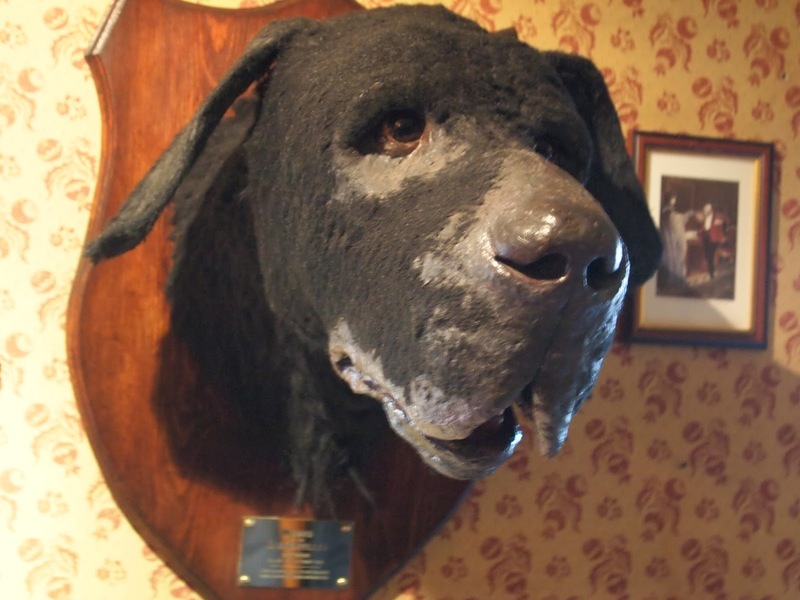 One the second floor there are props from the Jeremy Brett era which I grew up watching. That was for me the most exciting bit. 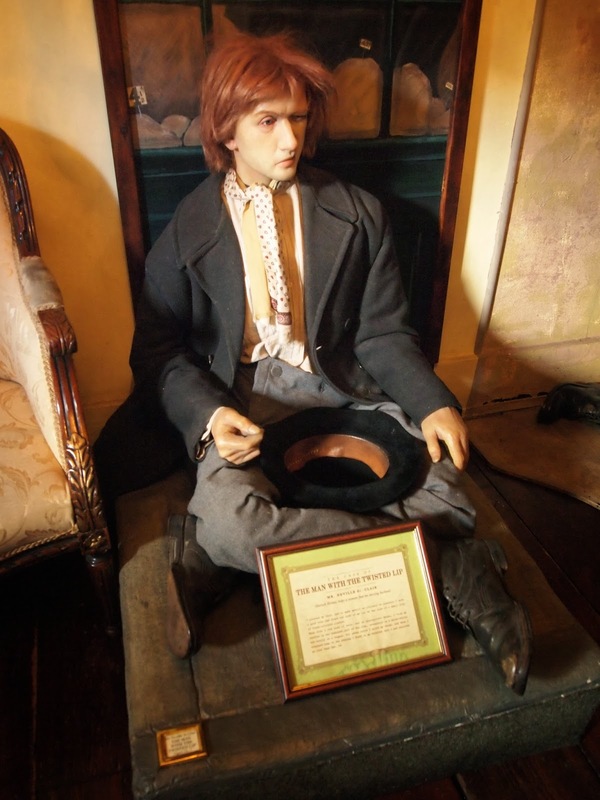 On the third floor are scenes from the stories captured with waxwork figures. In all you can do the entire museum in thirty minutes. Afterwards I headed to the shop to pick up a few souvenirs. 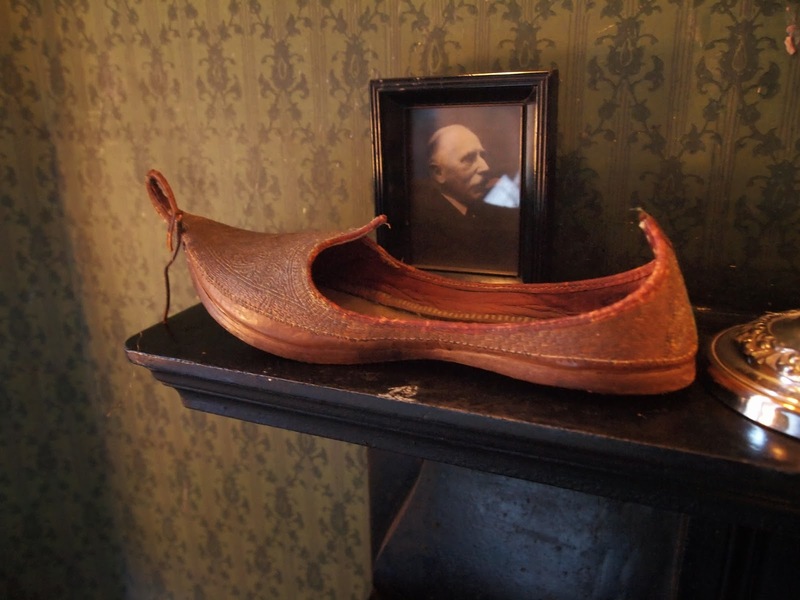 The Persian slipper where Holmes kept his tobacco. A prop from my favourite Jeremy Brett episode, the Solitary Cyclist. 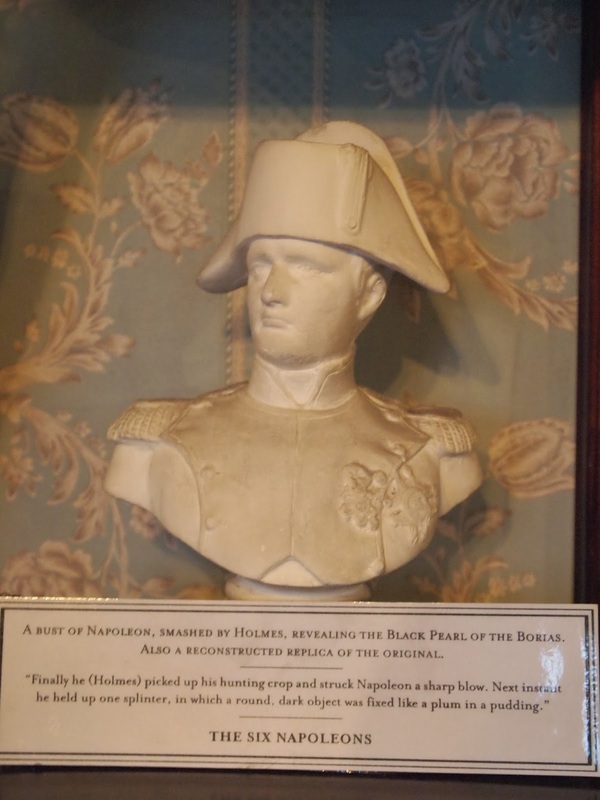 One of the Six Napoleons featured in the Jeremy Brett episode. I got to the hotel at around four o’clock, exhausted, damp, and cold from my journey. I was ready for that hot bath and a quiet night. I checked in and, with some effort, manoeuvred my luggage over to the elevator. When the doors slide back, I was greeted by the tiniest elevator I have ever seen. No, seriously, it said it could hold four people, but I could barely fit in it with two suitcases. This did not instil me with confidence. I was on the fourth floor. The doors parted into a narrow corridor. My room was straight ahead. When I unlocked the door, I was greeted by what must have once been the scullery maid’s room. It was tiny, with a tiny window, and a single bed crammed against the wall. I dropped my bags and went to open the bathroom door. I was greeted not by my fantasy of a soaking tub, but by a depressing shower stall and dingy sink and loo. Well, at least I have a bathroom, I thought. 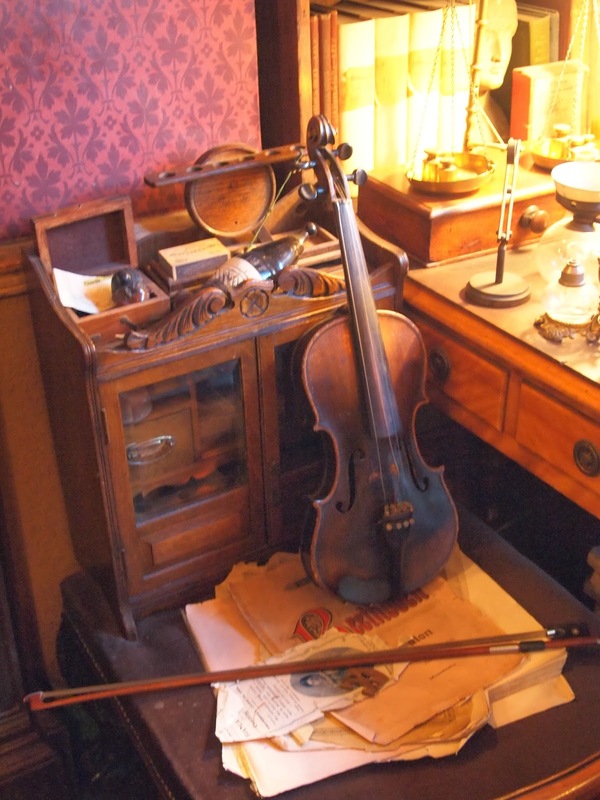 Advice and Notes: The Sherlock Holmes Museum is worth a look if you’re a fan of the stories. It isn’t worth waiting in a queue for an hour and half and according to the constable it rarely has a line so long. 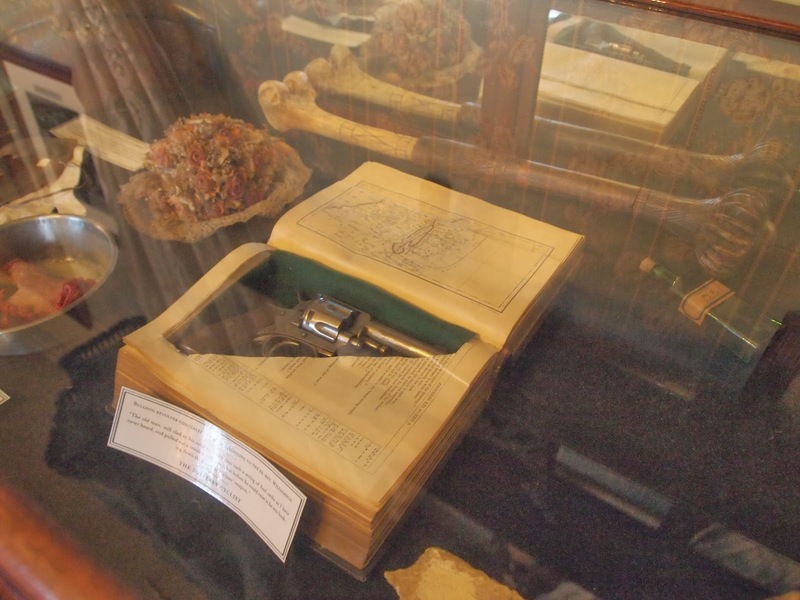 The shop is quite excellent and has a number of interesting souvenirs of varying cost. Leave thirty minutes to go through the museum and ten for the shop. Also in the area, Madame Toussaud’s if you like that sort of thing. 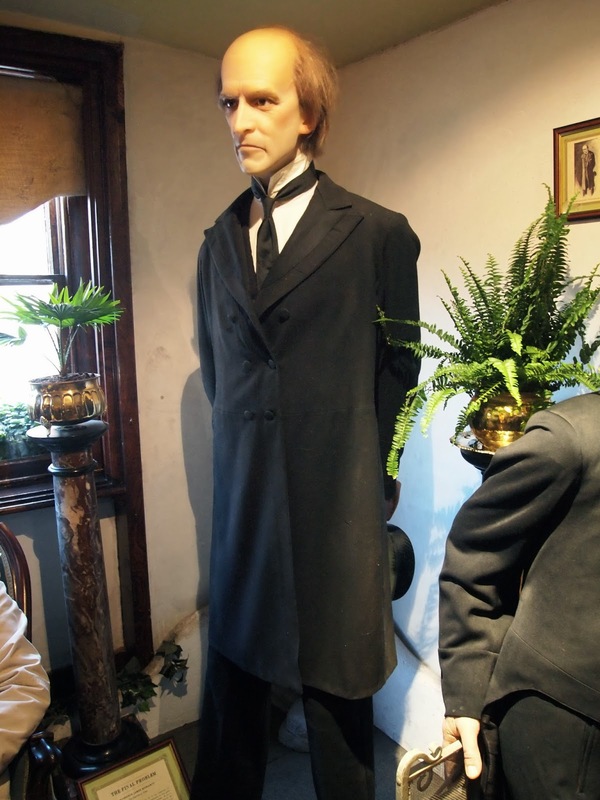 Also check out the Sherlock Holmes statue as you come out of the Baker Street tube station.